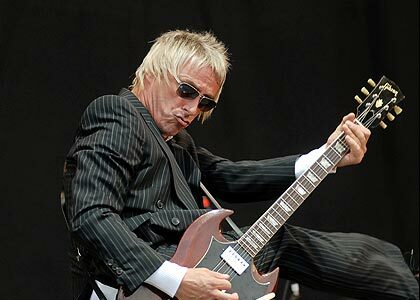 Paul Weller Slams Glastonbury Festival! – Paul Weller News! Paul Weller Slams Glastonbury Festival! Paul Weller has denounced the Glastonbury festival, pointing towards the bad weather the festival has experienced of late. Weller also pointed to the kind of people who went to the festival, claiming that recently festivalgoers hadn’t been as big music fans as previously. Previous Entry Paul Weller "Live At The Royal Albert Hall-2000" CD/DVD Reissue! Next Entry Paul Weller Announces November UK Tour Dates!